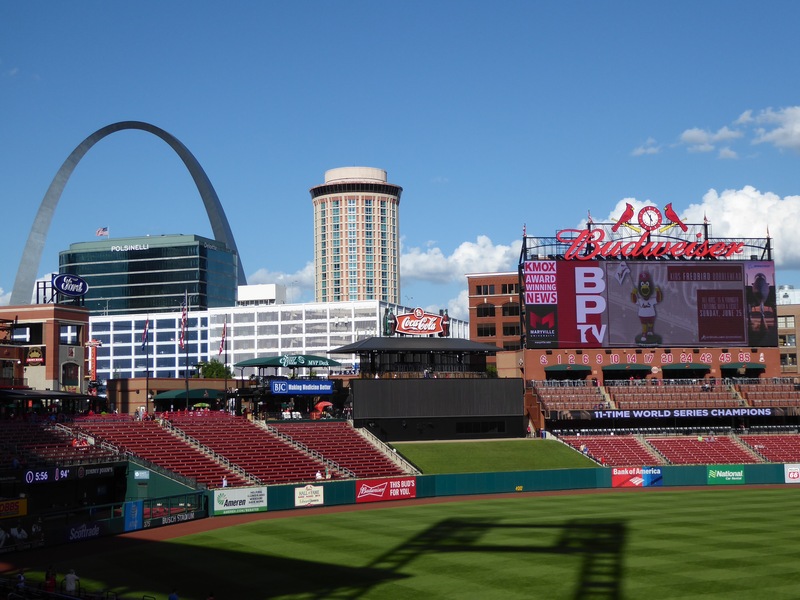 Our trip to St. Louis last year ended in frustration as we sat, waiting patiently, watching radar images on the Jumbotron that seemed to portray an impending deluge, yet found no confirmation in the sky over Busch Stadium. In the end, the radar prevailed and the game was rained out. So, of course, we had to come back. To get there, we drove through rural western Tennessee, through a bit of Kentucky and into Illinois at Cairo. It is ironic that I’ve been to Cairo, Egypt (pronounced “kigh row”) many times but never to Cairo, Illinois (pronounced “kay row”). I was shocked. In all my travels around this country, I have never seen a town so depressed. It is seemingly one bankruptcy short of a ghost town. At least two thirds of the businesses were boarded up and there was just nothing going on. 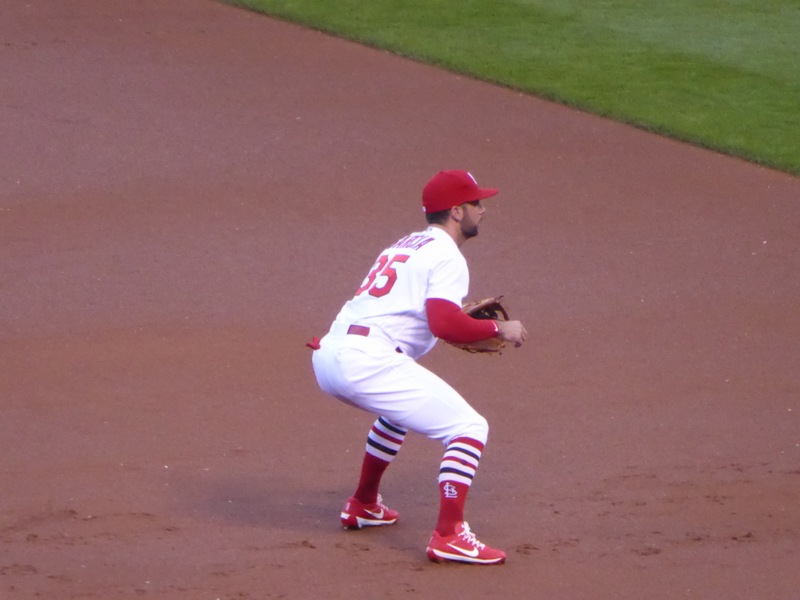 Busch Stadium, on the other hand, was bustling. When we checked into our hotel, we learned that the Cards and Brewers were playing a double header (making up a prior rainout), so there was a lot of activity around the stadium when we bought our tickets. This year, the skies were clear and the weather warm. We also made a return visit to Pappy’s Smokehouse, a highly regarded BBQ place west of downtown. We enjoyed it last year, but tried to go to Bogart’s, only to learn that is open just for lunch four days a week. Go figure. In any event, we got one full side of ribs and split it, which was more than enough for the two of us. 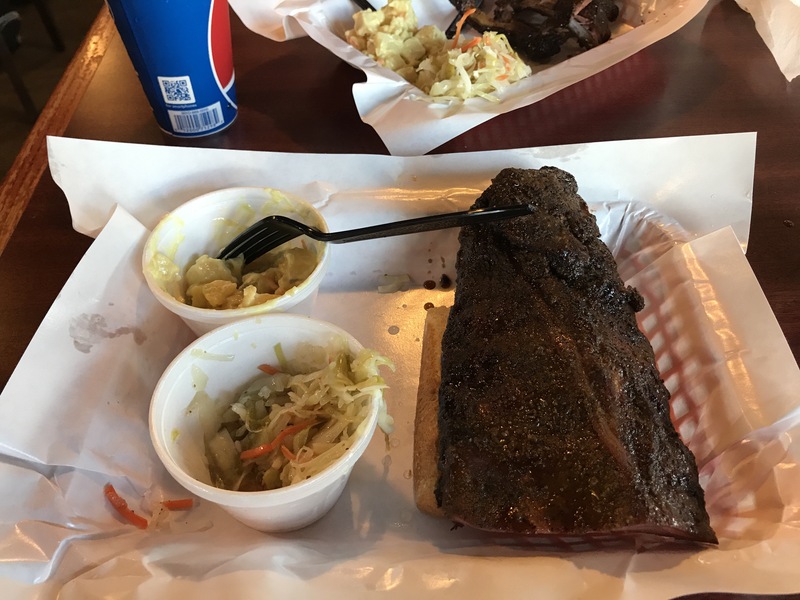 The ribs were superb, the sides (slaw and potato salad) adequate though not memorable, but the meal was well worth it (14 very meaty ribs for $25). The Cards won the first game and we speculated whether the veterans would have played that game or been saved for the night game. I would have played the old guys in the (marginally) cooler evening game, but Manager Metheny did the opposite. Several of the younger players wore these fancy socks. The Cards took an early lead, the Brewers caught up and then went ahead, the Cards caught them, but lost out in the end. 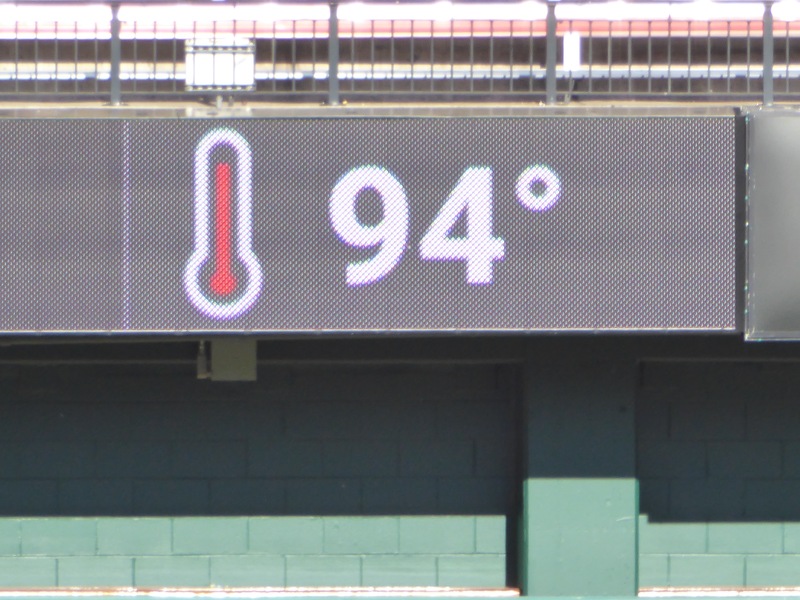 Despite that, it was a good game and now Busch Stadium is authentically in the book.